A COVENTRY engineering company has been forced to close with the loss of 31 jobs after encountering funding problems. and broaden innovation in manufacturing and materials. VEHICLE manufacturer Jaguar Land Rover has pledged to increase the number of ex-service men and women employed across its global operations to 1,000 by 2020. Gavin Williamson, MP for South Staffordshire, visited Broyce Control, off Penn Road in Wolverhampton last week. Jaguar Land Rover to increase the number of ex-service men and women employed by 2020. VEHICLE manufacturer Jaguar Land Rover has announced record global sales for April the companys fourth consecutive record-breaking month. ALMOST half of manufacturers in the West Midlands have failed to increase their investment in cyber security in the past two years, leaving them vulnerable to hacks. Bo Gilbert the first 100 year-old model to appear in British Vogue. Victoria rolls out new incentive planWORCESTERSHIRE carpet manufacturer and retailer, Victoria, has agreed a new long-term management incentive plan. VISIT STAND 96 AT THE MADE IN THE MIDLANDS EXPO 2016, LEAVE US A BUSINESS CARD AND WE WILL SUPPLY YOU WITH OUR LATEST ERP SOFTWAREFOR FREE. THE Government must delay launching the Apprenticeship Levy until at least September next year, manufacturers have said. Research and Development (R&D) Tax Credits – What are they and how can I claim? Are you interested in boosting your RD budget? Read on for an event just for you…	TBAT Innovation is hosting a free RD Tax Credits breakfast event at the Manufacturing Technology Centre, Coventry. 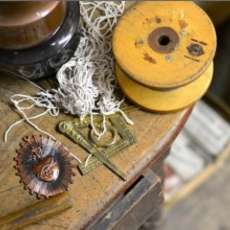 9 May 2016 – Spoken Word at Waterstone’s, High Street Newman Brothers operated for over a 100 years in Birmingham’s Jewellery Quarter, making some of the finest coffin fittings in the world – including those for Winston Churchill and Princess Diana. AN industrial robot manufacturer is taking 170,000 sq ft at Coventry\’s Ansty Park as it relocates its UK headquarters across the city. UK Manufacturing – a step-by-step guide! BOSSES of one of a Brierley Hill manufacturer of round, flat, shaped profile and electrical resistance wire have hailed ‘Wire Dusseldorf 2016’ the best yet. ONE of Birminghams oldest family firms is looking to let a 19,245 sq ft unit beside its Digbeth headquarters. SOLIHULL-based Secure Trust Bank has backed investment firm SKG Capital in making a new multi-million pound acquisition. BIRMINGHAM coffee machine manufacturer Fracino has grown its workforce by a quarter to help its meet rising demand for its products. OUTPUT in the manufacturing sector was stable during the first quarter of the year but the sector struggled with reduced order levels, latest data has shown. With the month of May fast approaching us, the team here at Ecolighting are very much looking forward toseeing it arrive. RCS Logistics will be exhibiting at the Made in the Midlands Exhibition! assist our peers within the Made in the Midlands Network. MANUFACTURERS in the West Midlands will need more cohesive support to remain competitive, it has been claimed. THE jobs of more than 100 people at a Black Country manufacturer have been saved following a deal to sell the business out of administration. TWO major investments in the automotive industry by Jaguar Land Rover will create world class manufacturing facilities for Coventry, it has been claimed. Telford based oil mist filters manufacturer, Filtermist International, has reported an encouraging outlook for 2016 following participation at two leading global trade shows last week. Michael Eavis and his colleagues recently visited APS Metal Pressings Ltd as part of a tour of manufacturing plants celebrating the launch of thenew stainless steel pint cup. Made Here Now, a project aimed at encouraging the growth of manufacturing in the UK as well as attracting more young people to consider working in the industry, has been named event partner for Made in the Midlands. 18 April 2016 – Thermotec Plastics Ltd. 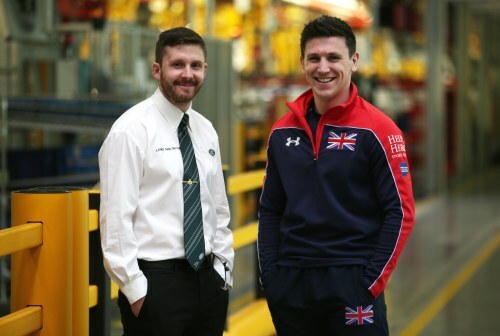 LEADING UK car manufacturers have joined forces to help launch a new apprenticeship scheme. A BLACK Country specialist manufacturer has solidified its business by purchasing its existing factory premises. SHOPPERS in Tamworth are being warned about potential glass fragments in bottles of rum. SHOPPERS across Lichfield and Burntwood are being warned about potential glass fragments in bottles of rum. 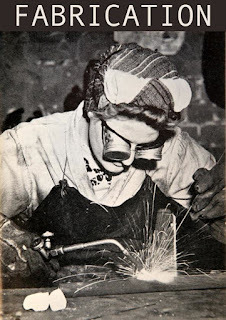 Fabrication Along with artists Brendan Jackson and Alicja Rogalska I will be working on an Arts Council funded project to work with the archives of the major manufacturing companies of the Black Country. Explore opportunities in engineering at AMTC open evenings. Victoria calls time on potential acquisitionWORCESTERSHIRE carpet manufacturer and retailer, Victoria, has announced it has pulled out of talks to acquire Lano Carpets. VEHICLE manufacturer Jaguar Land Rover has further underlined its support for a united Europe by backing the EUs plans for autonomous vehicle technology. THE number of Birmingham manufacturers at risk of significant financial distress has risen by more than a quarter, according the new figures. What are the non-energy costs in my electricity invoice? For all energy intensive businesses, particularly manufacturers it’s crucial to understand the ‘non-energy’ elements of your costs. The Manufacturing Technology Centre (MTC) is offering companies free consultancy in robot technologies, and a chance to win funding up to €150,000 for automation projects, in a new EU-funded project called ROBOTT-NET. Made in the Midlands are delighted to welcome our 300th member Gestamp, who are leaders in the design and manufacture of automotive components and are one of the major manufacturers in the automotive industry worldwide. FUSION Building Consultancy has handed over a new £4m warehouse to a Coventry-based family firm after a 12-month building project. Join the University of Birmingham on 18th May for this free one-day seminar. A £5m investment in EEF\’s training centre in Aston has resulted in the creation of 32 jobs. Made in the Midlands are delighted that Filtermist have joined as one of our latest Gold members.